Alex glanced up furtively at the last chunk of light as it finally fled from the day. Blinds fully open, there was nothing now between the night inside and that out, save for a pane or two of glass. He sank in defeat to the couch and reached for the remote. He felt the cold blue light of failure bathe the room and muted those flickering morons. Once again his mobile browser found open medical sites which held no hope. He would have to sit it out and wait until Ali got home. For whatever reason, the insulated switch-stick, which had been designed so recently for Alex, no longer worked. It was no different than if he tried to flick the switch himself. Unknown forces taunted Alex again. Although he was able to turn on and off any of the plethora appliances in one’s life, Alex was incapable of electrifying illumination in any setting! If you were hosted by Alex for an evening, you’d better make a note of where the light switches are cause you’re going to use them. Around 2 months after his 19th birthday Alex started losing his light. At family homes, he was in constant need of light bulbs and fuses, his own home started the rotary of switch styles, as he tried to find a way through the night. Eventually, of course, doctors had been involved – but what can they do? If you switch on a light and then your patient is unable to make it black, is there a prescription for that? If you ask your capable and well-rounded appearing young patient to pop along and add their sample to a pot; when you have to turn on the light for them, which counseling service do you approach first? Some bright spark botched up a switch-glove for Alex to have on his person for all eventualities. It worked for 4 days (about 1200 switches – Alex couldn’t help himself!) until the phantoms found their way through the materials. Weeks of glove enhancement led to the switch-stick: insulated, angled, machined, crafted… researched (based on what? ), the best, most recent, one – here we are back at the start – no longer worked. 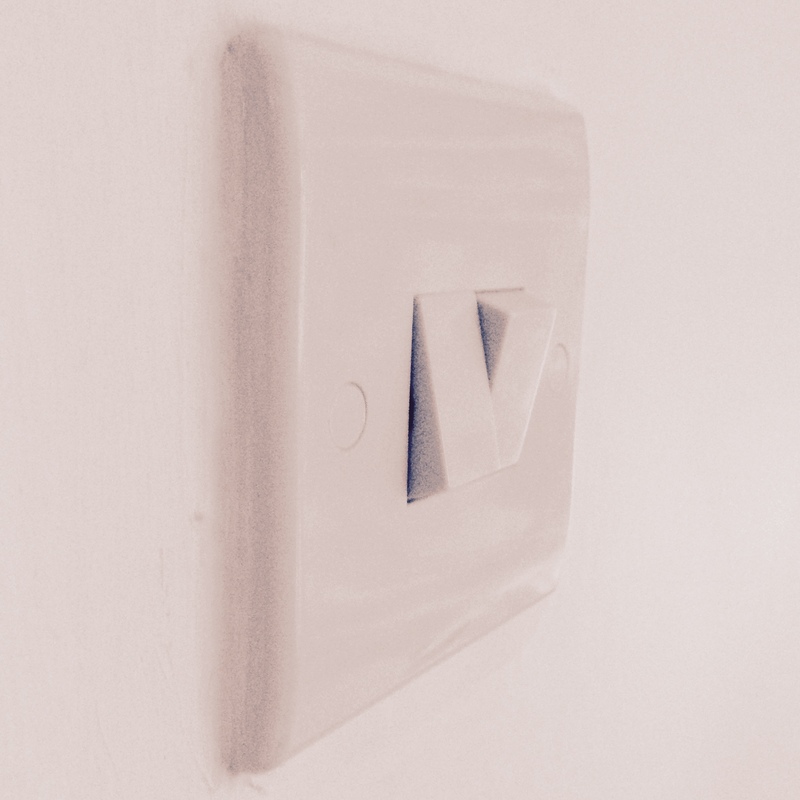 This entry was posted in Starter lines and tagged abstract, life, light switch, starter, story by adambujons. Bookmark the permalink.